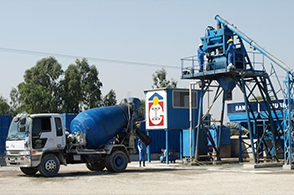 Gondal Group of Industries has its own advance and heavy capacity Concrete Transit Mixers. These transit mixers have the ability to make production process smart and quick. 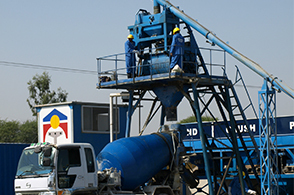 A batching plant is used to manufacture the ready – mix concrete with a set recipe and transport to a worksite by truck called transit mixer. Concrete Transit Mixers can be charged with dry materials and water, with the mixing occurring during transport. With this process, the material has already been mixing. 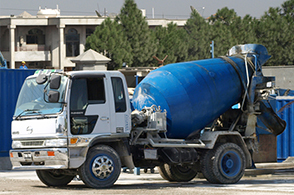 The concrete mixing transport truck maintains the material's liquid state through agitation, or turning of the drum, until delivery. The interior of the drum on a concrete mixing truck is fitted with a spiral blade. In one rotational direction, the concrete is pushed deeper into the drum. This is the direction the drum is rotated while the concrete is being transported to the building site. This is known as "charging" the mixer. When the drum rotates in the other direction, the Archimedes' screw-type arrangement "discharges", or forces the concrete out of the drum. From there it may go onto chutes to guide the viscous concrete directly to the job site.